The novel should have a warning-label – should not be read by parents. Or maybe it is because I am a parent that the book scares me a little more. 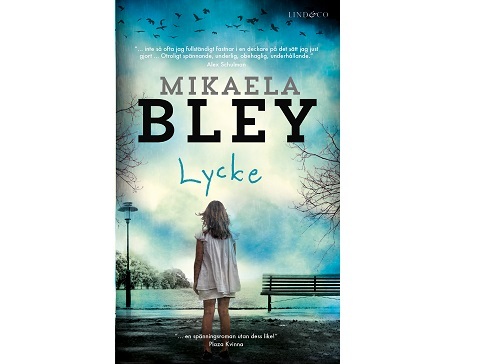 Nothing would be worse than your child going missing and that is exactly what happens when 8-year-old Lycke disappears without a trace. We soon find out that Lycke had a pretty miserable life. Her parents are divorced and do not get along, the dad has remarried and his new wife does not think Lycke fits in in the new family, and she does not seem to have any friends. The main character is the criminal reporter Ellen Tamm who works at Swedish TV Channel 4, and she is covering the case. It reminds her of an event in her past that she has not fully processed and she is swept up by her feelings. As if that was not enough, her ex-boyfriend is now her boss, which further complicates the situation. The novel is an easy read and flows well. At first the chapters shift focus between the novel’s female characters and you find out things they want to keep secret. Almost all of the adults in the novel can be considered suspects. I still have a few questions when the book ends, but it does not matter too much and I guess that some will be answered in the coming novels about Ellen Tamm.